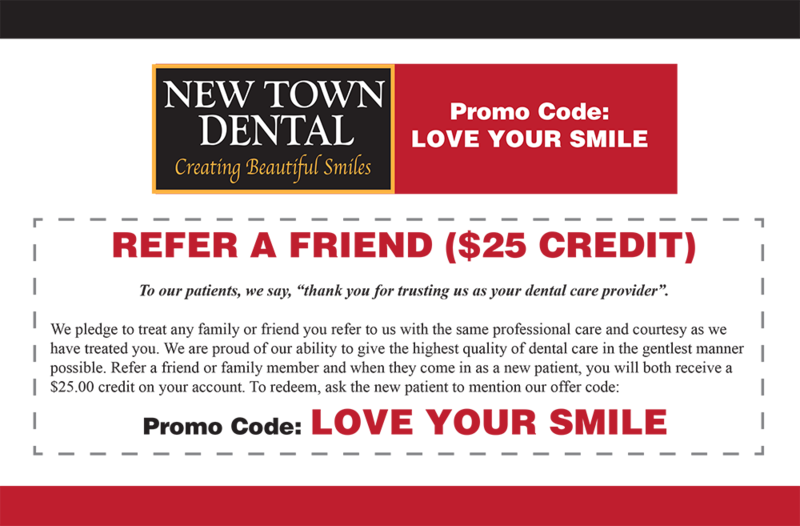 Thank you for visiting New Town Dental. If you have any questions, comments or need more information, please fill out the form below. Want to speak with someone right away? Call (856) 223-1945. You may also use our convenient online Schedule an Appointment button. Our mission is to deliver the highest quality dental care possible to all of our patients in the most professional setting by our highly trained dental professionals. We strive to constantly improve our knowledge with Continuing Education so we can deliver the most modern up-to-date comprehensive dental care to our patients. This insures our patients achieve their optimal dental health.